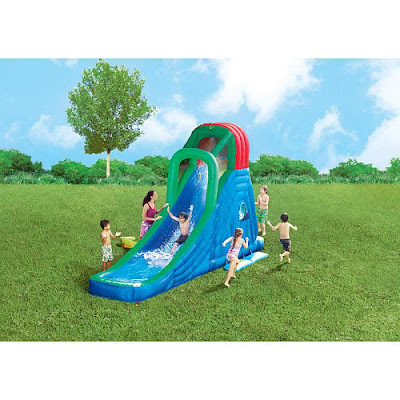 Babblings of a Mommy: Water Slides= Summer Fun! 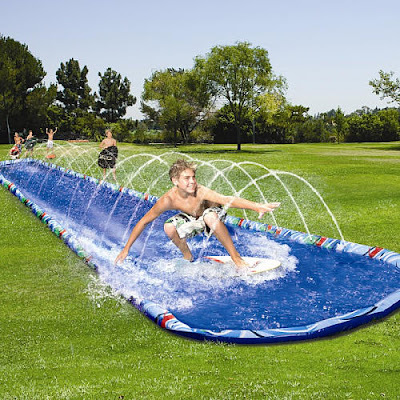 Who doesn't remember the slip and slide as a kid?! Well the slip and slide as we know it is long gone. Now they're full of gadgets, contraptions and sprinklers...as a matter of fact looking at some of these new toys makes me feel like a fossil! 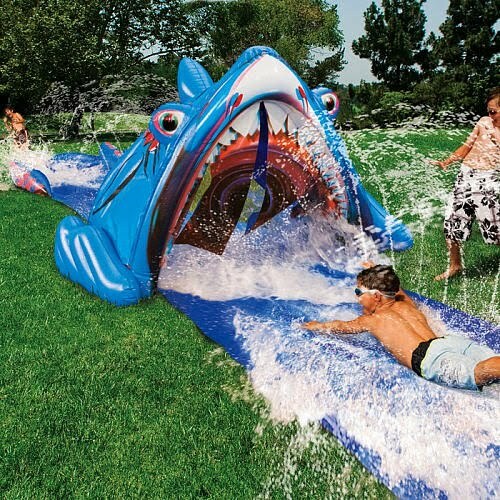 lol Where were these things when WE were a kid?!? 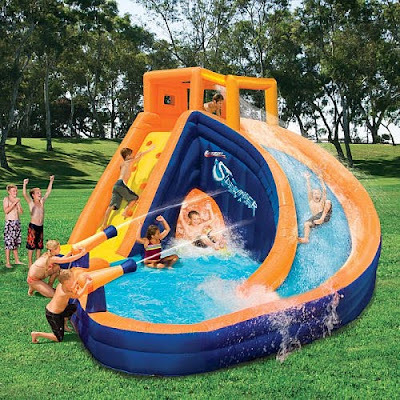 What are you planning on buying your kids this summer? Those look really great. I like Sugar Mama's idea of going in with the neighbors. We are hoping to put in a pool in the next few years. I CANNOT wait until my son is old enough for stuff like this. Although, we're going to need a backyard. It's Big Bub's birthday in September so I'm sure he'll be getting quite a bit this summer. We're spending some time in August in Montauk so some beach stuff is in order! I just bought them some new water guns because he boys are bigger and rough on things so those items above wouldn't last.